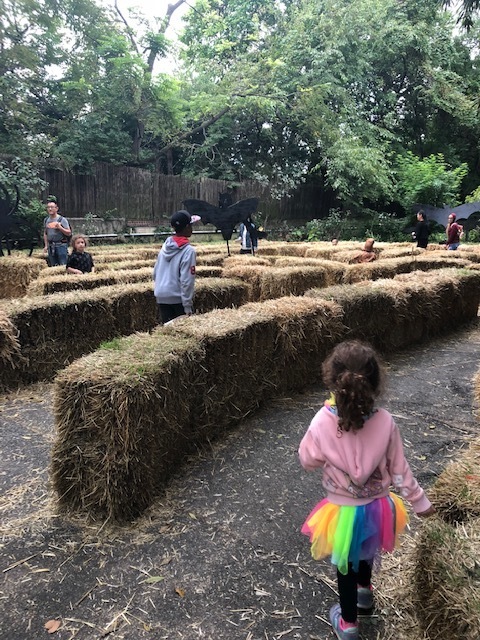 What to Do at Boo at the Zoo! We had so much fun at Boo at the Zoo! 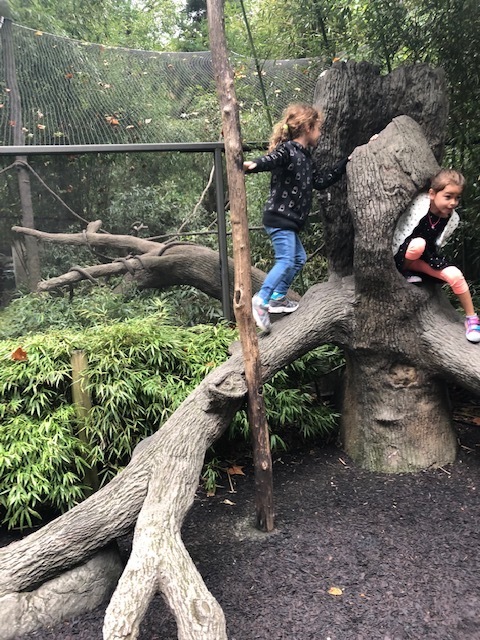 We usually visit the Bronx Zoo on the hottest, most humid summer days, so it really was a treat to finally be there on a crisp fall day - I think the cooler weather made the animals come out and about more, too. And adding in the Zoo’s adorable Halloween themed extras really made the visit even better. 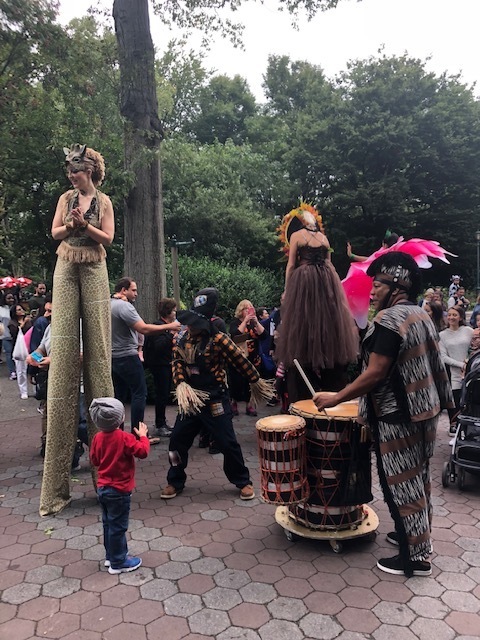 Coming to the Bronx Zoo in October for Boo at the Zoo is the ideal way to visit and a really fun way to celebrate the holiday! On weekends in October, the Bronx Zoo offers all kinds of fun Halloween themed extras included in your admission. Little ones from all over the tri-state come dressed up in their Halloween costumes to celebrate the season and see some zoo animals. It’s really cute. 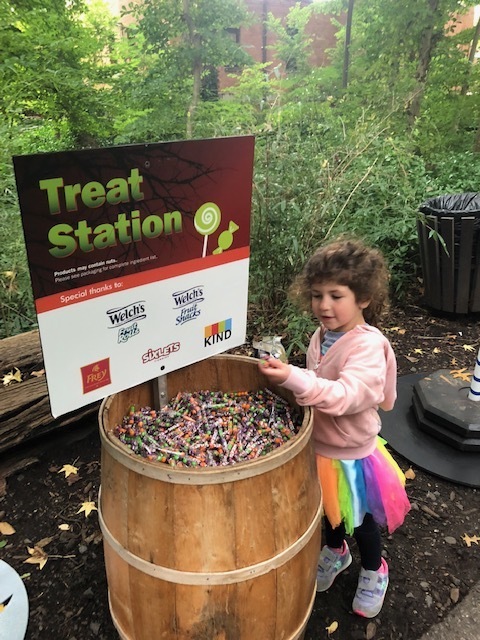 Appropriately enough, the Candy Trail was the first of our Boo at the Zoo activities. 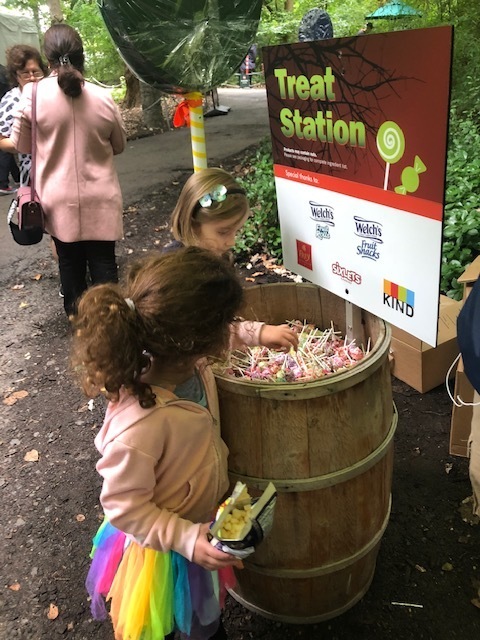 Our girls loved posing with the toy candies set up along the trail and they practically squealed when we came upon our first Treat Station. 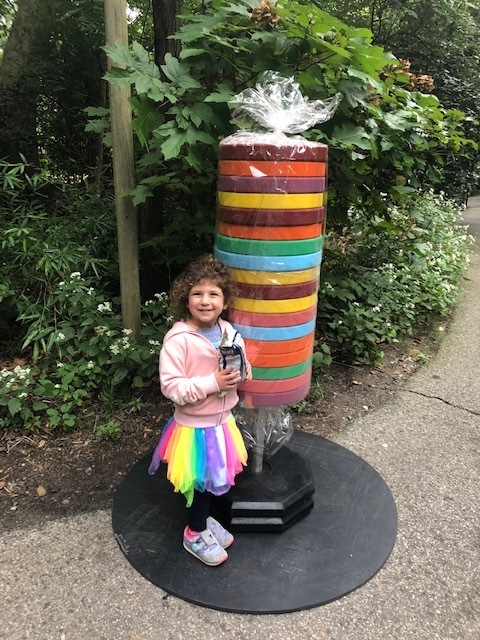 Zoo attendants hand out candy (some candy and some slightly more healthy treats like granola bars and fruit roll ups) on what ends up being a practice run for the Halloween day trick-or-treating. It was all very cute and the granola bar I snagged on the Candy Trail gave me the energy boost I needed later on, when I found myself almost ready to pack it up and head to lunch. We happened to time the Candy Trail perfectly and it lead us right into the start of the noon Costume Parade. We followed the costumed parade-goers down their route and right into the Zoo Center. It was musical, celebratory and tons of fun! 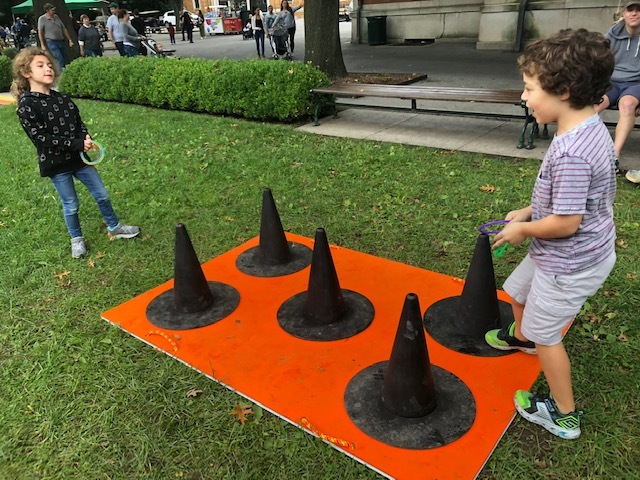 From there, we headed over to Astor Court, where a whole bunch of Halloween themed lawn games were set up on the courtyard lawn while live musicians played accompanying music. In the same vicinity, we did a Halloween craft. We traced, decorated and cut out our own bat shaped Halloween mask! Boo at the Zoo brings some adorable seasonal touches that make an already special zoo even more fun to visit. For my girls, those activities really went a long away to keep them happy and entertained as we walked. 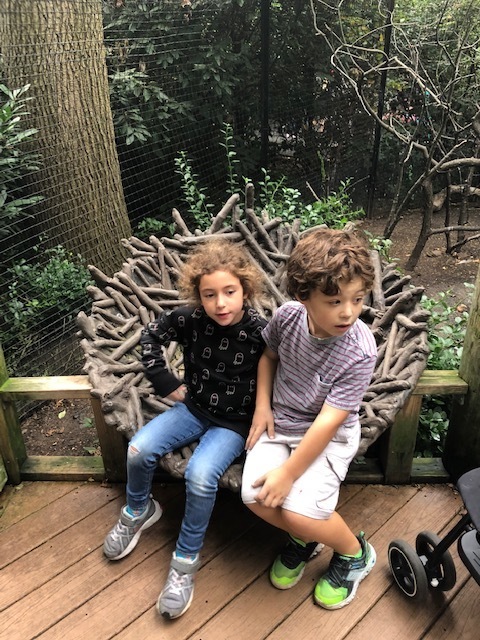 I really think this was our most successful Bronx Zoo visit yet! 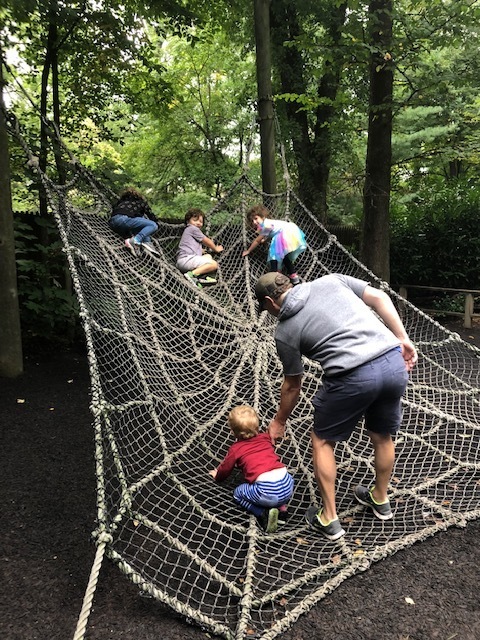 Most of the Halloween activities seem geared more toward young kids, so if you’re a family with kids above age 10, I’m not sure that your kids would get much out of the Boo at the Zoo attractions. On our visit, we missed the professional pumpkin carving demonstrations and the spooky hayride. While it’s easy to get caught up in all the Halloween fun on your visit, the Bronx Zoo is still a world class zoo! Don’t forget to stop and see the animals everywhere you go! On this visit, the combination of the cooler October temps and our girls getting a bit older allowed us to walk a lot more than we could on past visits. And there is a ton of walking at the Bronx Zoo. Spend some time with the grounds map to figure out what areas and animals most appeal. Red pandas, ostriches, giraffes, snow leopards, anteaters, sea lions - the Bronx Zoo has it all. My girls even got excited when they spotted a pond filled with ducks! 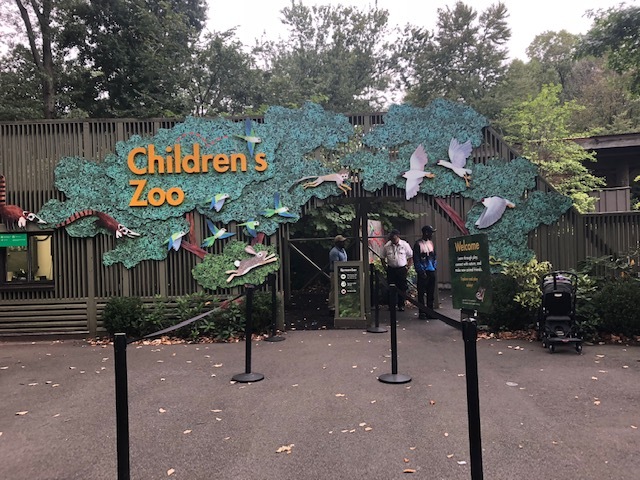 If you’re there with little ones, definitely visit the Children’s Zoo, not far from the Zoo Center. There’s a lot of interactive features there, easy viewing of animals and a large petting zoo. 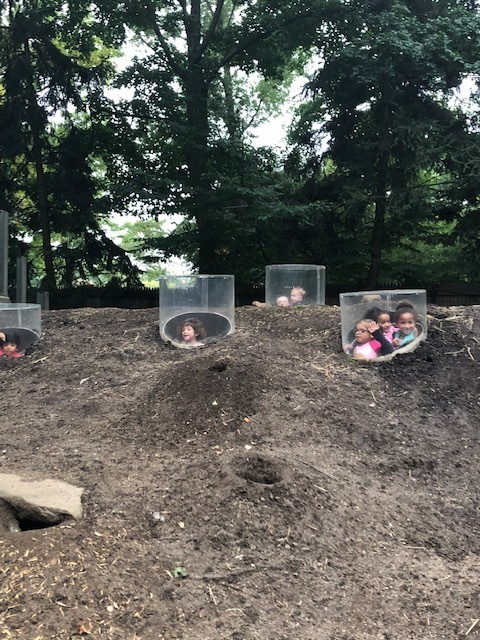 My kids would have happily stayed in the Children’s Zoo area all day. In the Asia area, the Wild Asia Monorail is also a fun and relaxing way to spot some wildlife. And DO NOT miss the year old Nature Trek attraction. It’s tucked away in a corner nearest to Jungle World and the Asia entrance, but it’s so worth the trek (hehe). 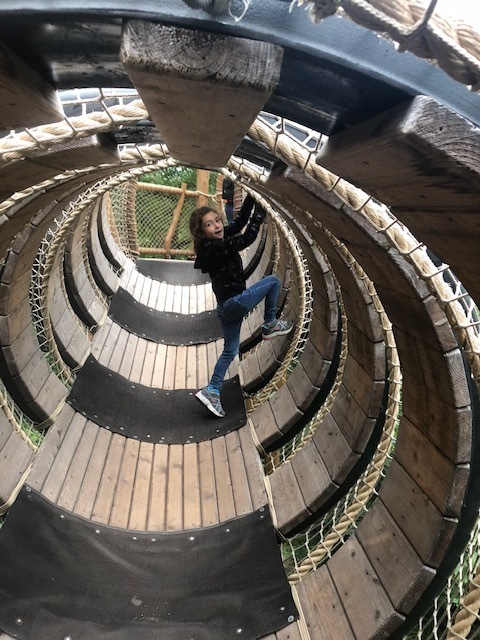 It’s a fully netted, elevated course of bridges and tunnels and climbing areas in the sky that allow you a bird’s eye view of life in the trees. 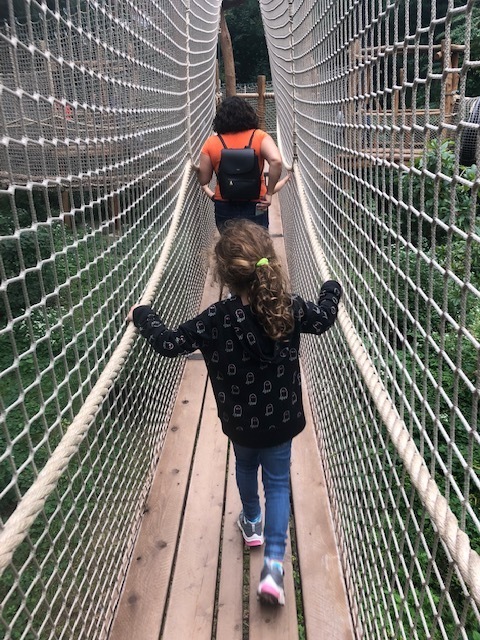 Both my 4 year old and 7 year old loved it - the younger one did the course carefully with her dad, while the older one actively tried to get every bridge and walkway to shake and wobble as she walked on them. 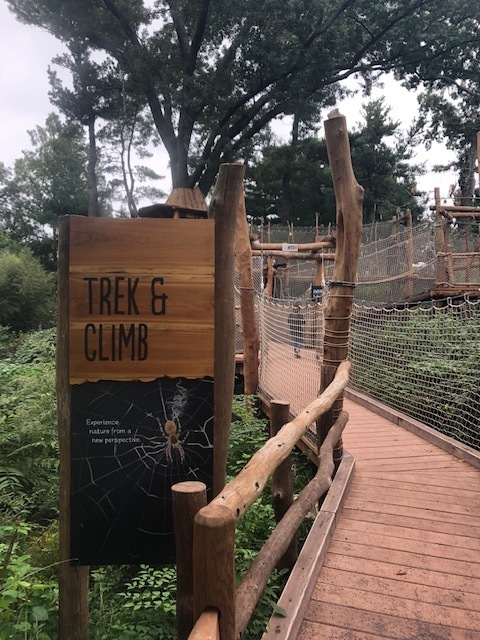 For older and more adventurous visitors, there’s also the Treetop Adventures zip line course. Even the Nature Trek area incorporated a Halloween touch - at the end of the course there was a large pumpkin to gut. Needless to say, my two kids absolutely loved this activity. With all that walking, you’ll likely work up quite the appetite. Arthur Avenue and all of its delicious Italian markets and restaurants are just a 5 minute drive away. Mangia! Happy Halloween! Looking for more Fall posts? 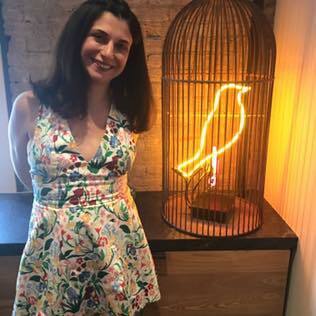 Check out my favorite Connecticut Blogger Babes below! We've linked up for an October Blog Hop. Want to participate too? 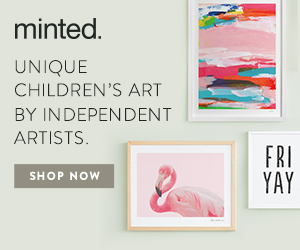 Add your link!